This is the road-trip for the serious foodie. 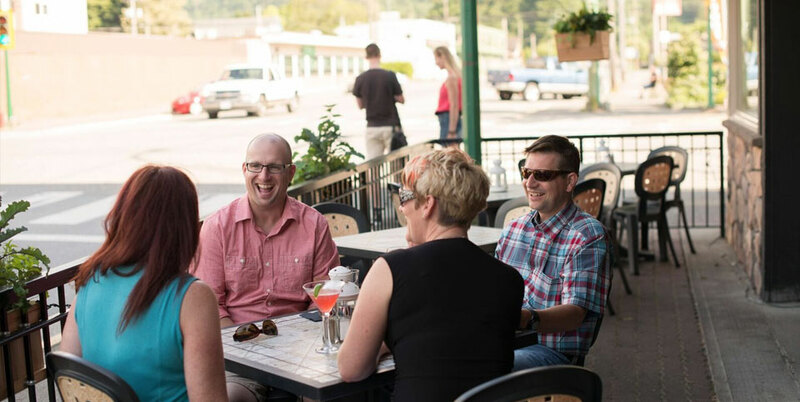 There are many restaurants, pubs and patios to enjoy between Coquitlam and Hope. Take a ride and see what tempts you. This one day road-trip is one for the view, and for the foodie. Stop at whichever attraction makes your mouth water. You can try burgers, buffets, and seafood at the Hardrock Casino. Maybe you’re craving craft beer and smokehouse wings (1lb) from Billy Miners. Looking for something more polished, try the slow cooked free range chicken breast at 293 Wallace Street Restaurant. Let your taste-buds guide you on this delectable journey for your senses. If your really adventurous, stretch the foodie road-trip over two days. really see what the Highway 7 has to offer. Also known as the Lougheed Highway, the Scenic 7 provides a link between Vancouver and Hope that is off the beaten path. From extreme adventures to simple, warm hospitality, there is something for everyone in Mighty Fraser Country.